Discover has launched a new commercial, highlighting that the Discover Card will alert you if they find your Social Security number on any one of thousands of risky websites. 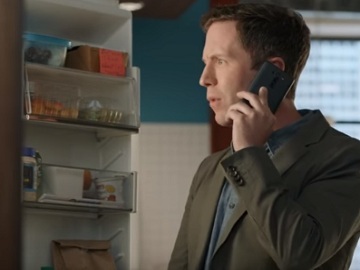 The 30-second spot, entitled “Sushi”, features a guy calling Discover Customer Support to ask for information on the new Social Security Alerts he’s keeping hearing about. The Discover employee tells him to sign up online, mentioning that he will subsequently receive alerts in case his Social Security Number will be found on any one of thousands of risky websites. Impressed by the service, the man, who’s in the kitchen from his office, looking in the fridge for some food, asks how much it is. Learning that it’s free if he has a Discover card, he says he likes free. A few seconds later, when he finds a box of sushi, an alert informs him that it’s four days old, which makes him sick. Eventually, he confirms that the Discover customer representative had previously told him, that “being in the know is a good thing”. The spot ends with the voiceover urging you to know if your Social Security Number is found on risky sites, free from Discover.